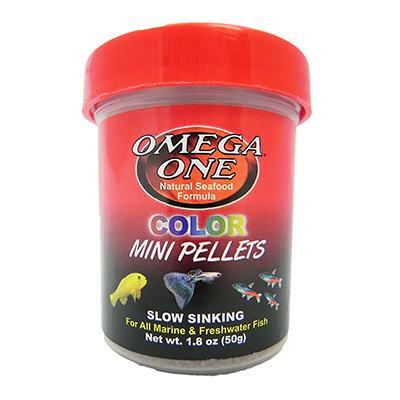 Loaded with natural color enhancers, such as salmon skins, Omega One offers the hobbyist an extreme, yet healthy color enhancement opportunity for their fish. Nothing on the market brings out the natural colors of fish in such a brilliant fashion. 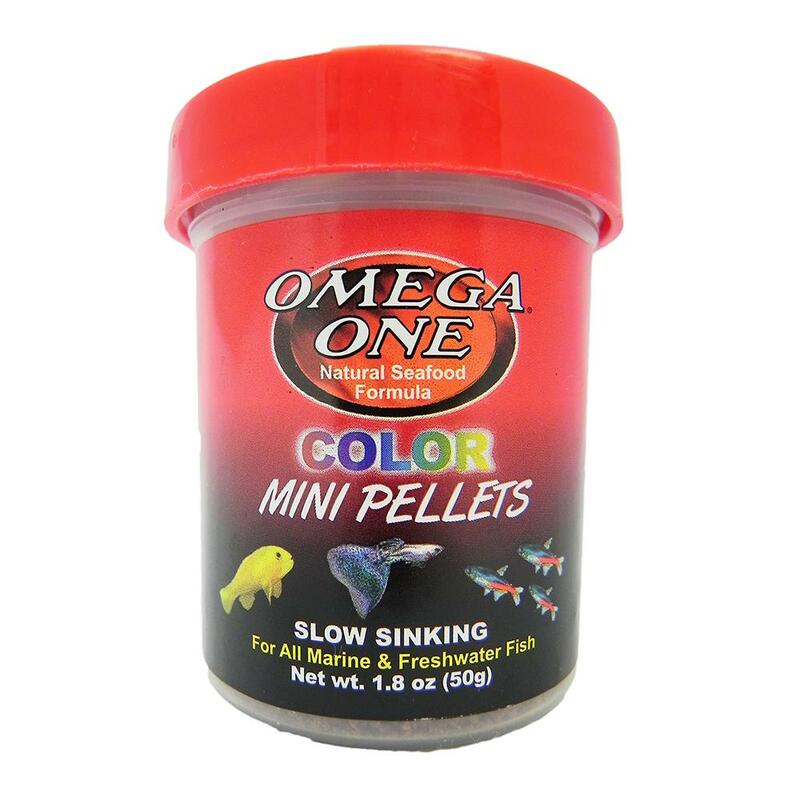 Combined with the already recognized, superior nutrition of Omega One, Super Color Micro Pellets are ideal food for small freshwater and marine fish alike. Salmon, Halibut, Whole Herring, Cod, Shrimp, Wheat Flour, Wheat Gluten, Fresh Kelp, Astaxanthin, Zeaxanthin, L-Ascorbyl-2-Phosphate (Source of Vitamin C), Natural and Artificial Colors, Vitamin A Acetate, Vitamin D3 Supplement, Vitamin E Supplement, Vitamin B12 Supplement, Riboflavin, Niacin, Pantothenic Acid, Choline Chloride, Biotin, Inositol, Tocopherol (Preservative), Ethoxyquin (Preservative).